Early baseball game this morning with Ian vs. eight kids! 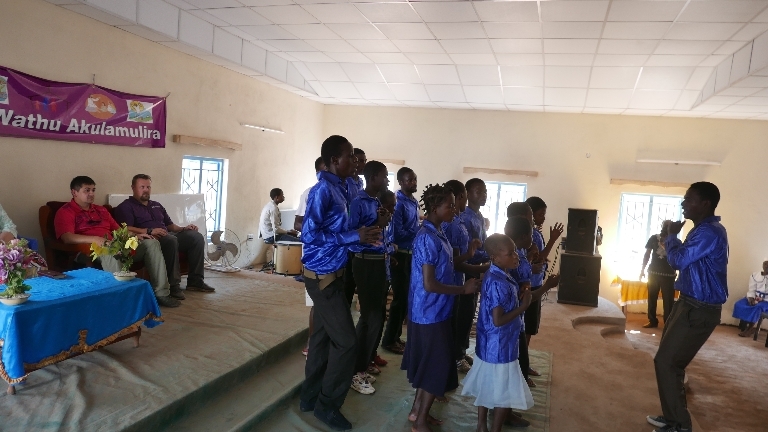 The conference allows each church represented to showcase their choir. 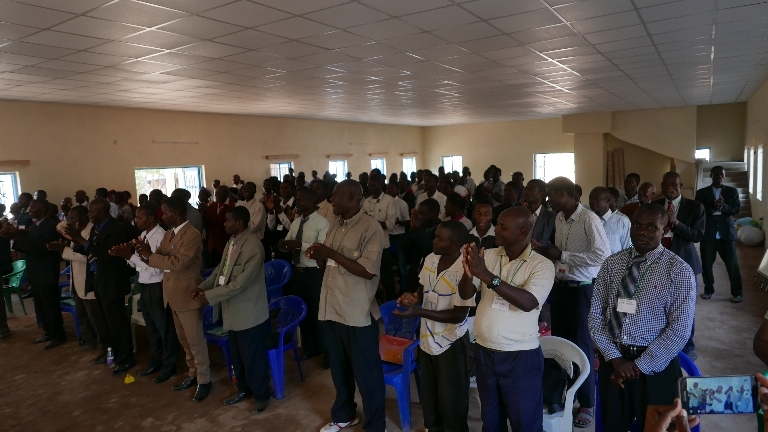 The church is filled with worshippers this morning. It’s very hot, but everyone is happy. There is so much singing that you can’t help but feel close to Heaven! Mussa presents Joey with a wooden scooping spoon. A gift from Malawi. 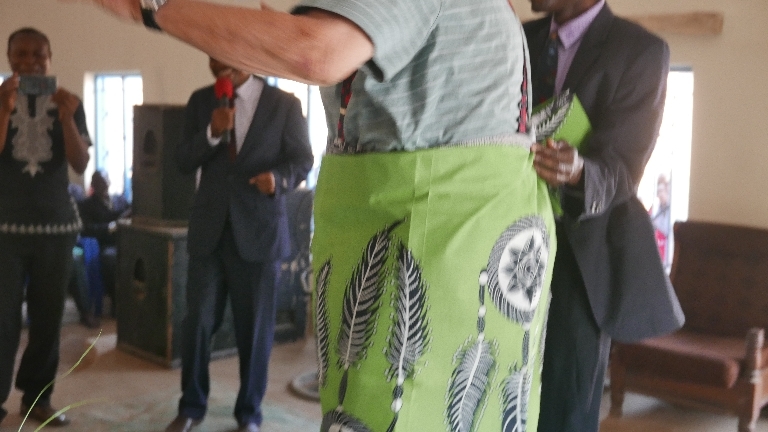 David is presented with Malawi textiles used for skirts. 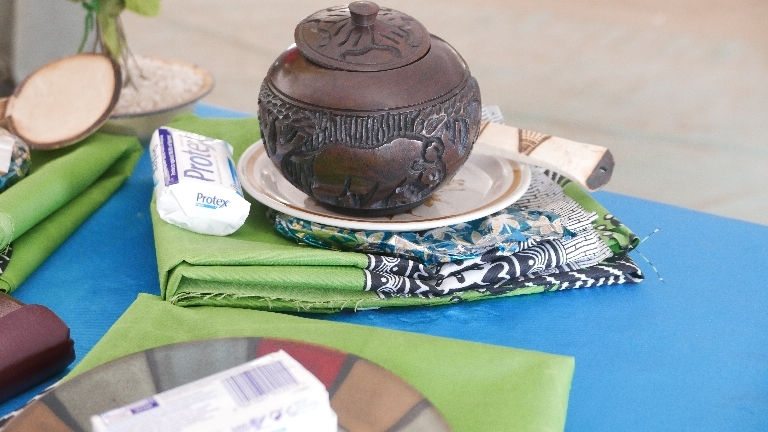 African gifts from the congregation. Group picture of the conference attendees. 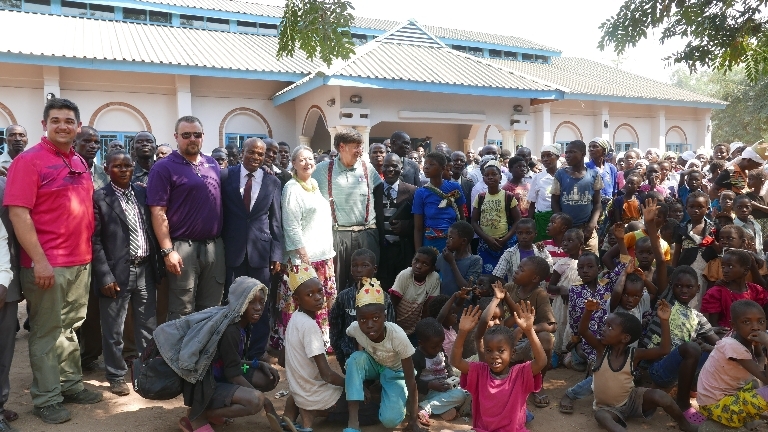 Good-bye Malawi and hello USA! We leave in the morning. It was the longest church service so far. All the different choirs sang and danced. 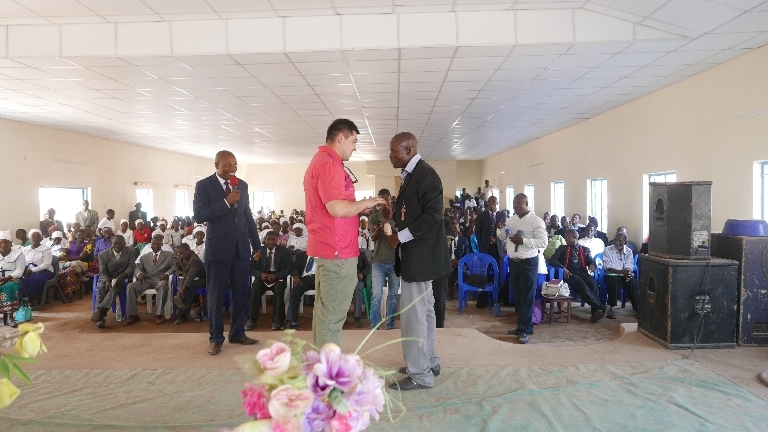 After I preached on the Faith Hall of Fame, Pastor Chilemba asked me to anoint six new pastors. What an honor. I asked them three times if they would feed Jesus’ sheep. Afterward I anointed each one of them and David gave them a bottle of anointing oil. 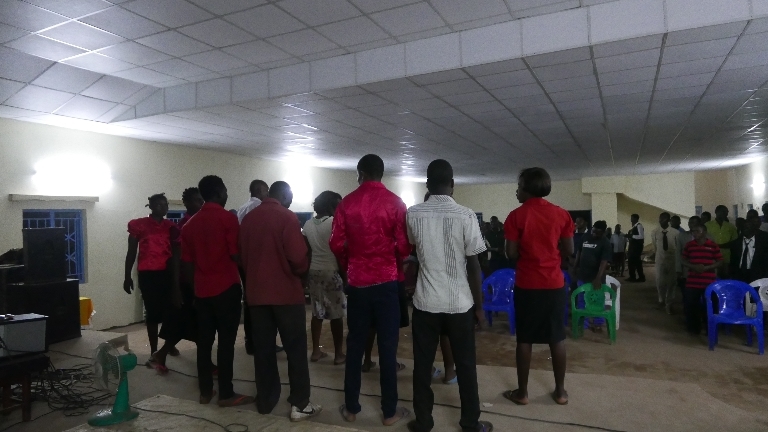 Pastor then asked us to anoint four new assistant pastors, two of which were women. They will be assistant to Pastor Philip Chilemba, Pastor’s son. 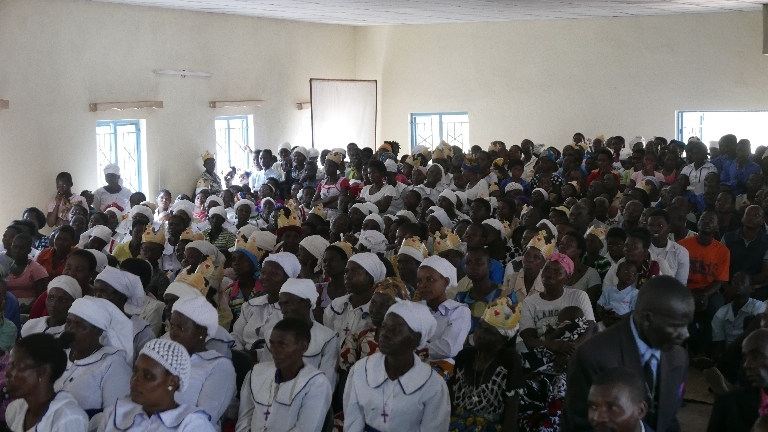 He then announced that they were going to have women pastors ‘like Pastor Vicki.’ So these women will eventually have their own churches. One of them was in the first bible class here two years ago, Grace. The other woman was Pastor and translator Abraham’s wife, Anna. David anointed their hands to serve and glorify the Lord. It really was a moving service. Next it was time to have the grand opening of the ‘new big church’ ribbon cutting. The Americans who made this possible were acknowledged, and I cut the ribbon representing all of you. Thank you so much for letting the Lord work through you. This has been an incredible journey and I wish all of you could be here with us. After another group picture, this one a conference group picture, we left as the praise team was playing another worship song. We had our usual chicken for lunch, with beef offered as a side. No one ate the beef today, just couldn’t do it. We’re back at the hotel packing and deciding what to take and what to leave for the Bible School next year. 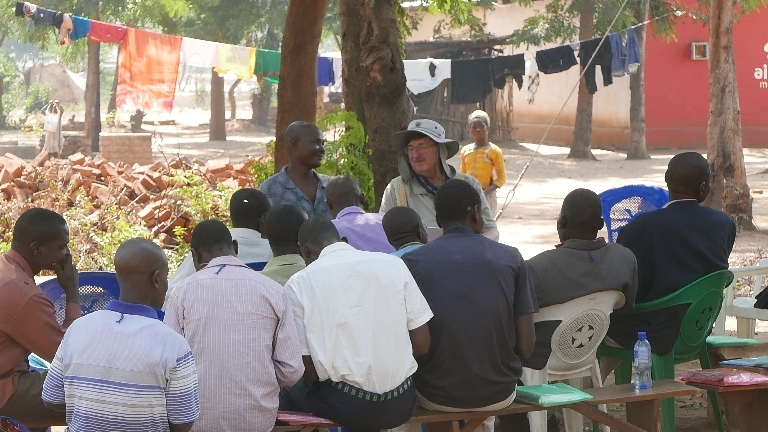 Pastor will pick us in the morning and we’ll head to Blantyre, have lunch and maybe get to shop a little, then off to the airport. See you soon! 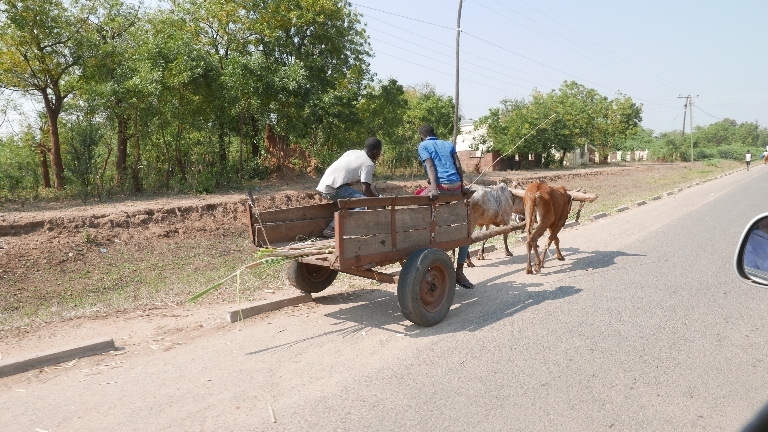 Passing an oxcart on the way to church. We are excited to get to church and begin the day. David preaches first thing, but only after a lot of music and dancing. Everyone is so joyful here. 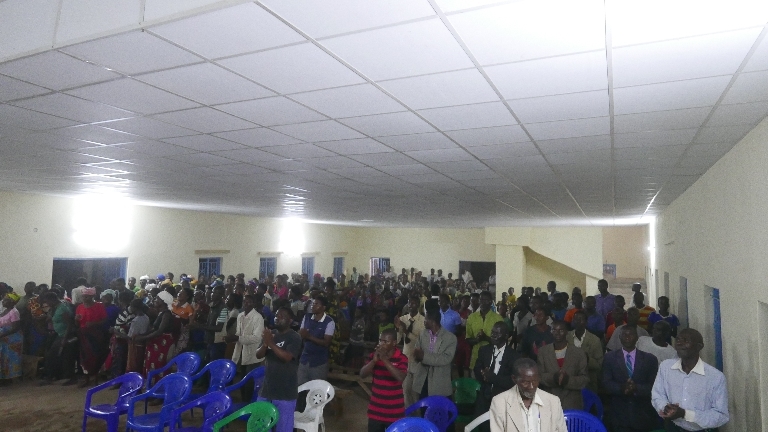 Many people have come for the conference; there are campfires and cooking fires all around the church. Pastor Abraham translates for David this morning. David introduced the Paul and Silas skit and talked about the conference theme, Our God Reigns. 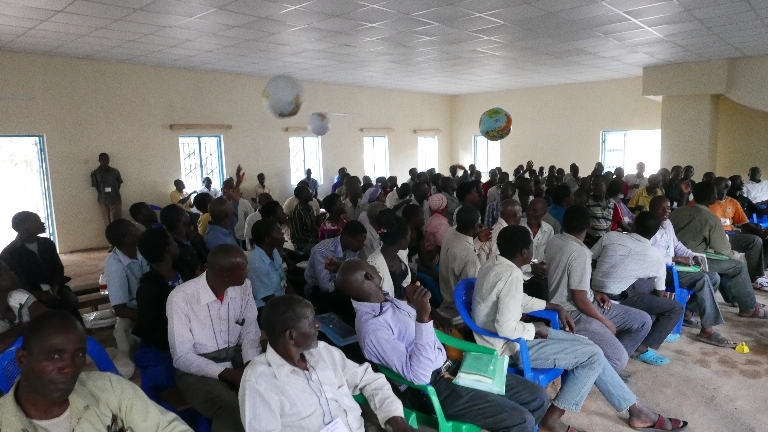 After lunch David teaches about 300 men that the Word of God is powerful and that just one verse can change lives. Vicki taught around 600 women that God loves them so much that He gave His life for them, and He is coming back for His bride, the church. He is King of Kings and Lord of Lords and we will be His queen! Joey and Ian working with around 400 youth. They do a wonderful job of connecting with the kids! 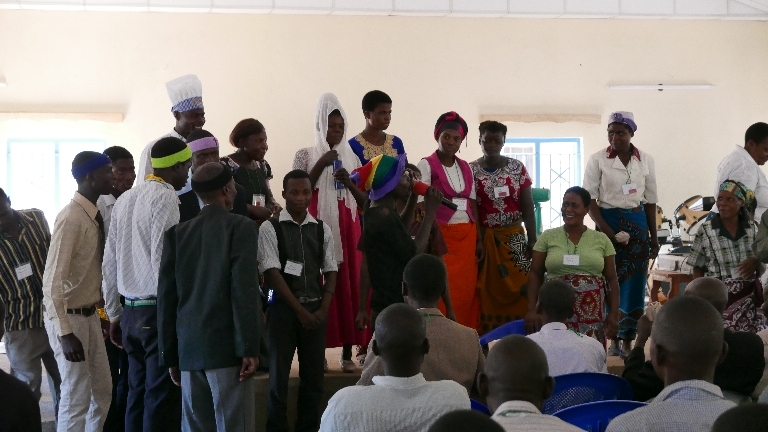 After our separate session for women, men, and children it’s time for baptisms to begin. 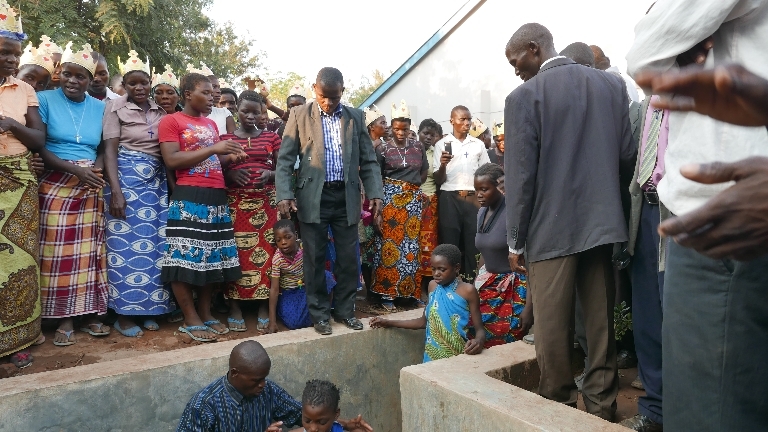 The baptismal doesn’t have very much water in it, but the pastors make it work. 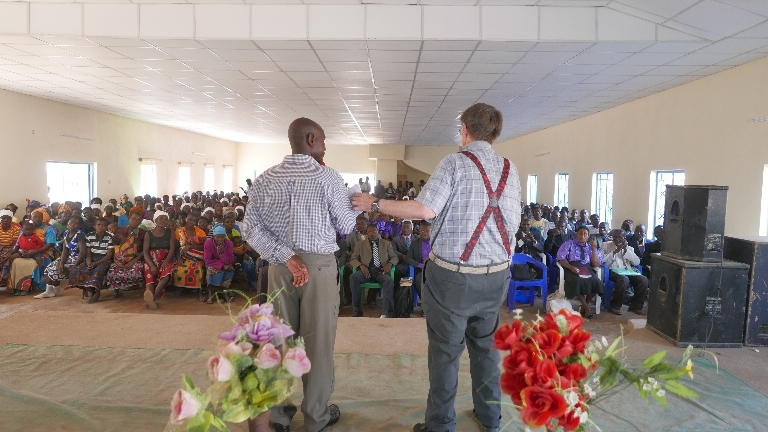 Pastor Chilemba and Pastor Matthews Chilemba (no relation) pray before beginning. 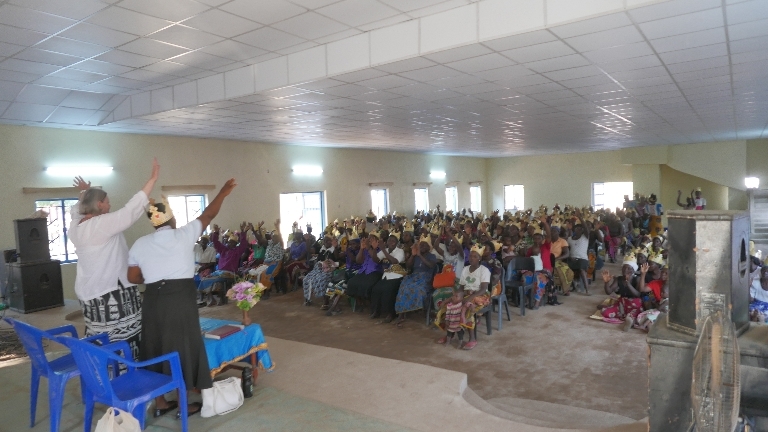 Pastor Samuel and women, along with Pastor Richard observing. All of the women were baptized first, then children, then men. 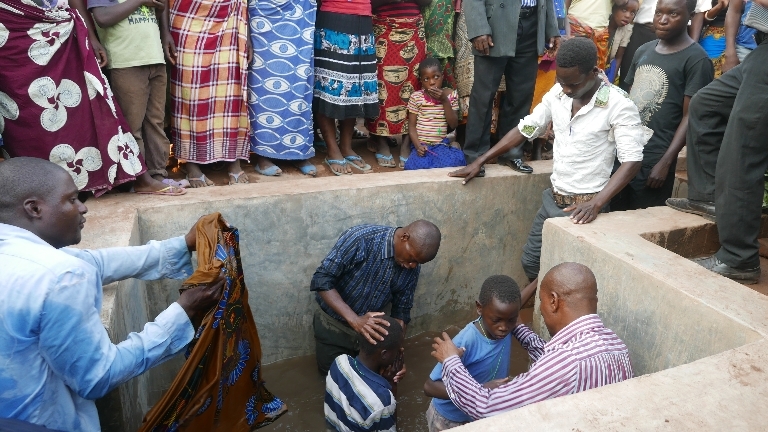 Over 200 were baptized! Glory to God. 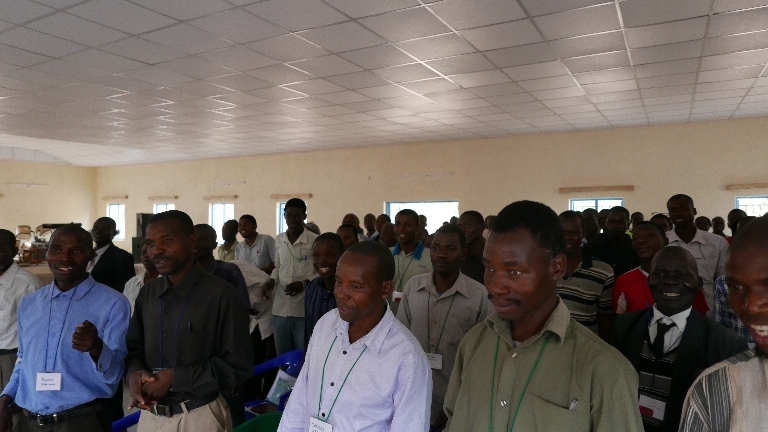 Pastors pray again after all are baptized. What a glorious day! The evening started around 8 o’clock, because of the heat. I was very tired and not looking forward to such a late service, after a few songs and choirs performed, my attitude changed. We were celebrating the baptisms. Each of us gave a short testimony about how our lives changed after baptism and what it meant to us. We got home before 10 and I slept well. We are looking forward to getting home. It’s been a very long trip, a blessing, but all the same — we miss you and our comfortable beds! I’m already thinking about what I’m packing and what I’m leaving here. It’s hard to take everything when there is so much need here, but we also have to think wisely about what we can leave, what gifts we can give, and how to distribute them. Graduation Day! And the Conference Begins . 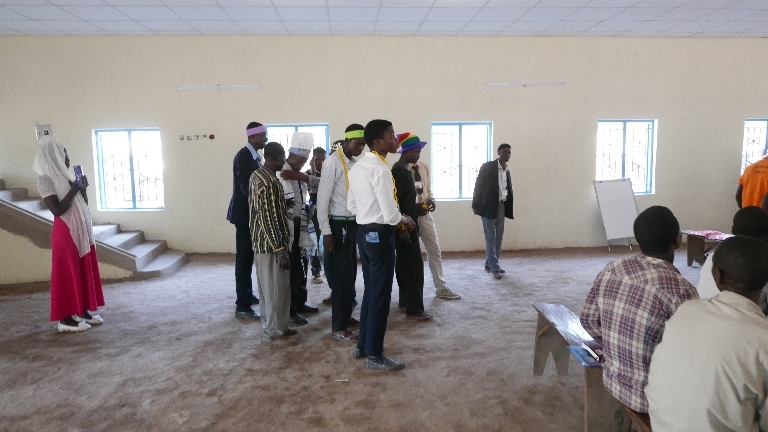 . .
Graduation Day has arrived and students must pass their final exam in order to receive their certificate. It’s a busy morning for classes and after lunch break they will have their exam. First thing we do after eating our lunch is stop at the Peace and Love Supermarket to get gifts for translators. They each get a loaf of bread, a bag of salt, and a bag of sugar along with a couple of personal gifts from each of us. 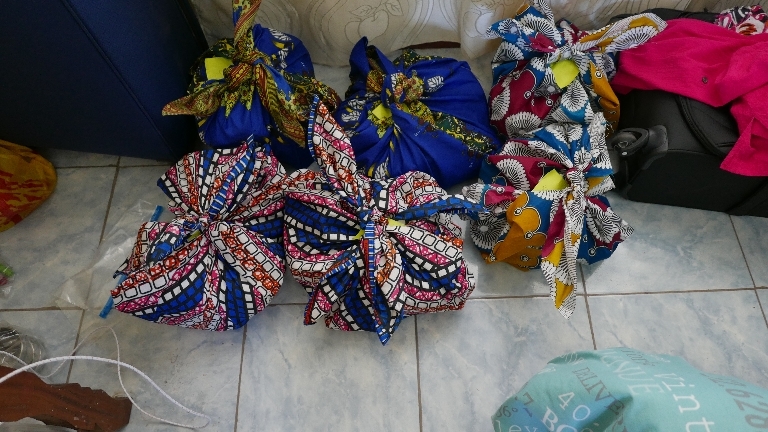 We made bags for the translators’ gifts. David and I took a quick look at the port. Afterward we went through the marketplace to shop for gifts for our translators, then back to class. The Shire River is lovely, however, I believe crossing the border here could be frowned upon. 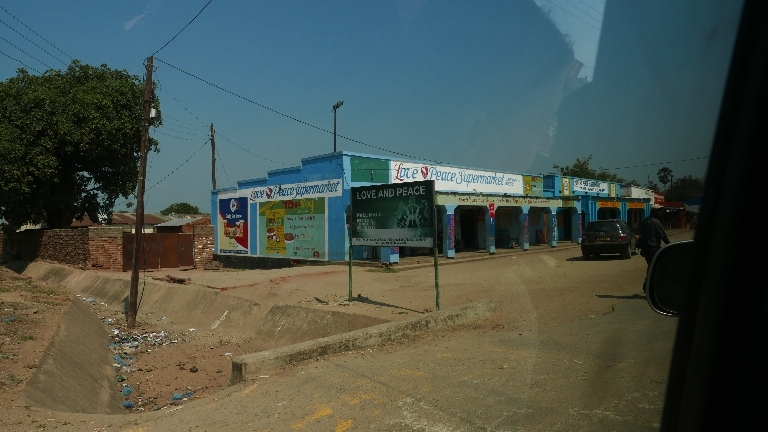 Many people do it everyday to shop and visit Mozambique. It’s hard to believe that in a few hours Bible School will be over. 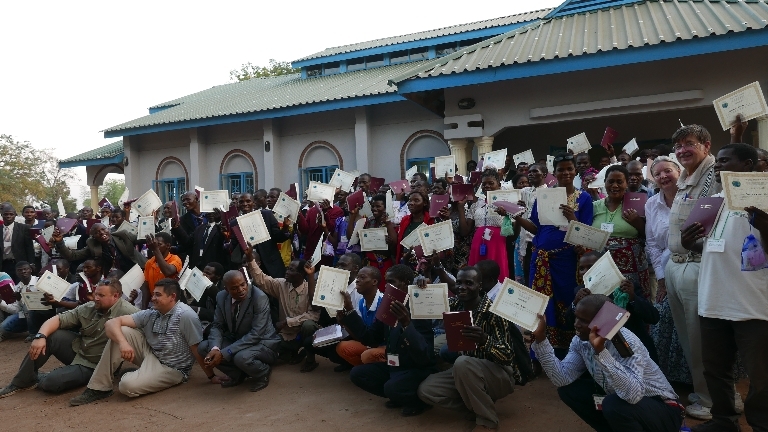 We will distribute the certificates, hand out the additional Bibles, give gifts for the wives of the pastors, and take a class picture. Two hours after the graduation party the annual conference will begin. Joey kicks off the conference with a powerful message from when Jesus walked on water. “Our God Reigns” is the theme and you will get a picture of the lovely banner we brought from Colorado. Saturday morning David preaches and then in the afternoon he teaches about 300 men, Joey and Ian will have from 300-400 children, and I will be speaking to 600 women. We brought 600 Burger King Crowns and 600 necklaces. Please pray for all of us as these are large numbers to minister to. If it goes as well as the prison visit, we will be more than pleased. God is good and always faithful! After these sessions, the baptisms begin! Pastor says to expect over 200. Then each of us will tell the congregation how our lives changed after we accepted Christ and were baptized. That will end a busy Saturday. 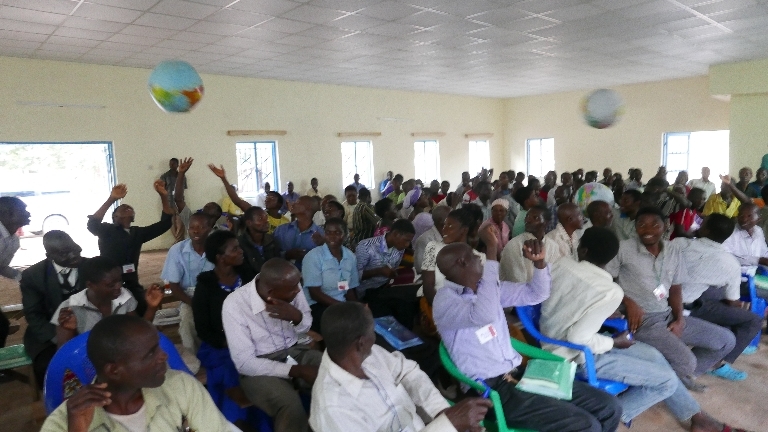 Sunday morning I will give a farewell talk to our friends in Malawi. After lunch we will pack up to be ready to go to Blantyre on Monday morning. I may not get opportunity to send any more updates until we get home. 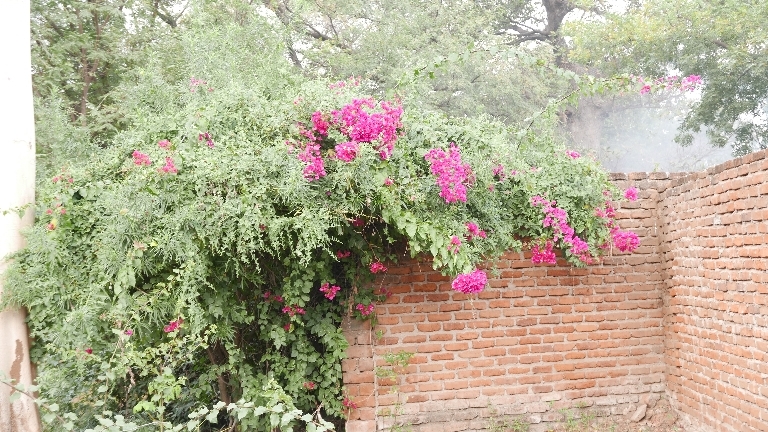 Thank you for your prayers and please continue to pray for our mission to be a sweet aroma, pleasing to God. Students prepare for the final exam. But first, we have dramas to perform. This is the conversion of Saul on the road to Damascus. The students added the stoning of Stephen, making the story even more compelling! Having passed the exams and receiving certificates, it’s time to party! The conference begins late because of the heat. We begin well after eight o’clock. 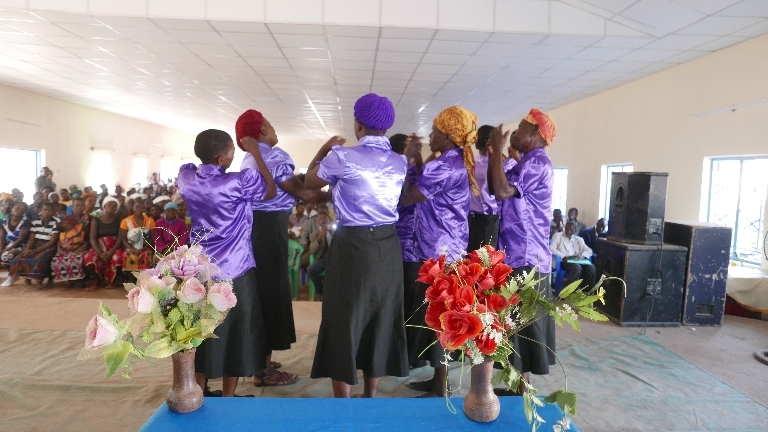 Conference begins with opening praise team singing. The church is filling up. It’s been a long day. We got back to the hotel around 9:30. Pastor says he will pick us up at 9:00 in the morning. All I know is that today confirmed the fact that we are supposed to be here. As we congratulated each student, some of them had tears in their eyes as they thanked us for their certificate. 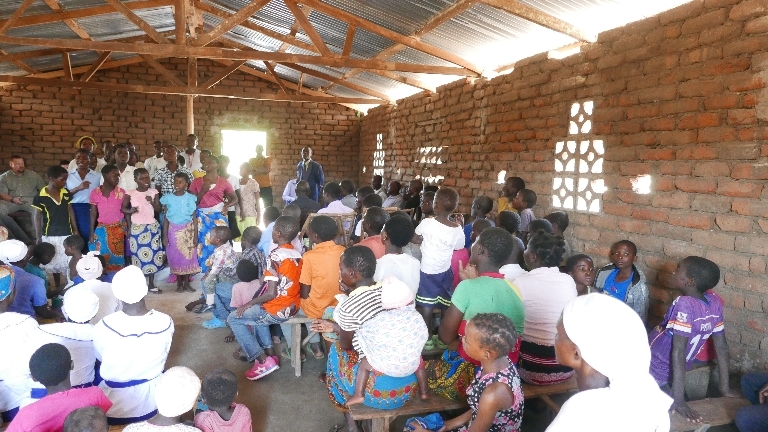 For some of these students it has been their first experience in a classroom. 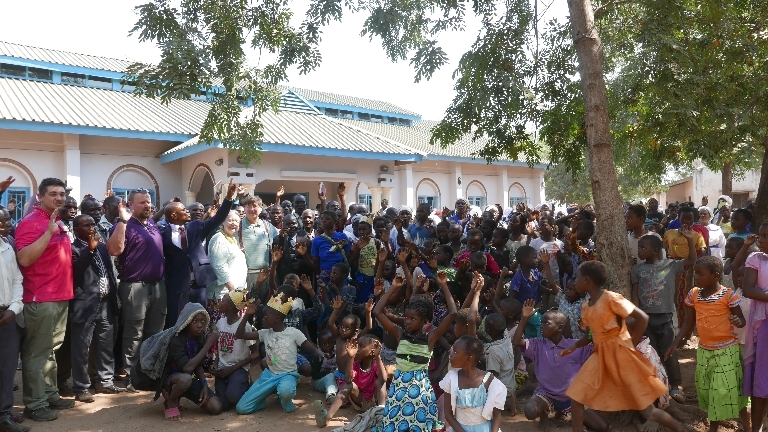 Thanks to all of the Malawi Support Team for making this happen. You have made dreams come true today. God is glorified and it is all about HIM!! Such a busy day and tomorrow will be just as busy. Whew! But, all in all, we look forward to the busiest day of our journey tomorrow. So much is on the agenda. 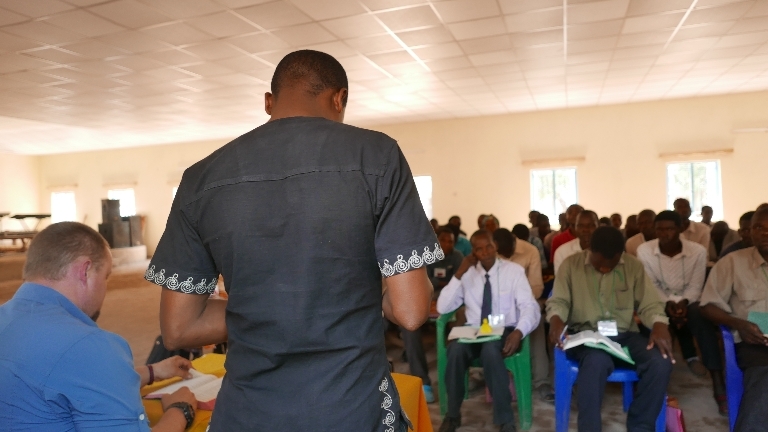 Again, David will begin by preaching on the theme of the conference, “Our God Reigns.” Then he will teach some 300 men, Ian and Joey will have 300-400 children, and I will be teaching 600 women. 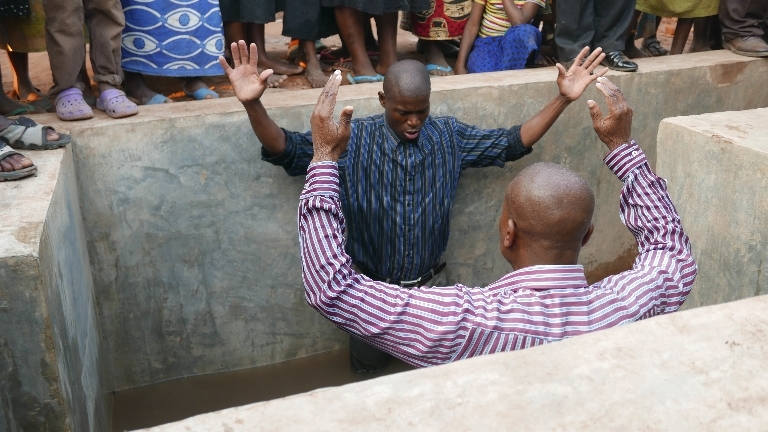 Afer that pastor tells us that we will baptize over 200 new believers. At the evening service each of us will tell how we have changed since we gave our lives to Jesus. Pray for everyone here. Many have traveled miles and across borders to join us. Until tomorrow …. Blessings! Outside our door at the hotel. Yesterday Joey and Ian went with Pastor Chilemba to pick up Mama Chilemba at the hospital. They have great stories to tell, but you should know that if anything happens to any of us we will risk the trip back to Blantyre. 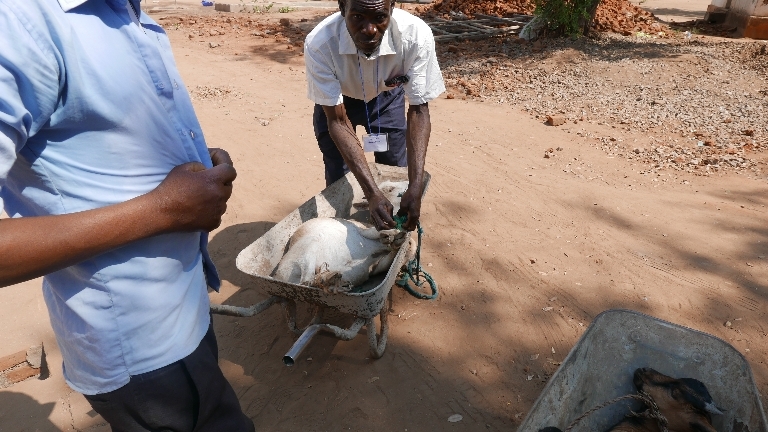 Joey watched the nurse pull the IV out of Mama Chilemba’s arm as she was walking out of the hospital. No little cotton ball, no Band-Aid, just blood everywhere. So far I haven’t had the dubious pleasure of seeing inside the hospital because the outside was enough for me. They have three main wards. One ward is for women, one is for men, and one is maternity. The guys saw a new mom of triplets walking out with one baby and a woman following carrying one baby in front and one in back. Here’s a picture journal of our day today. 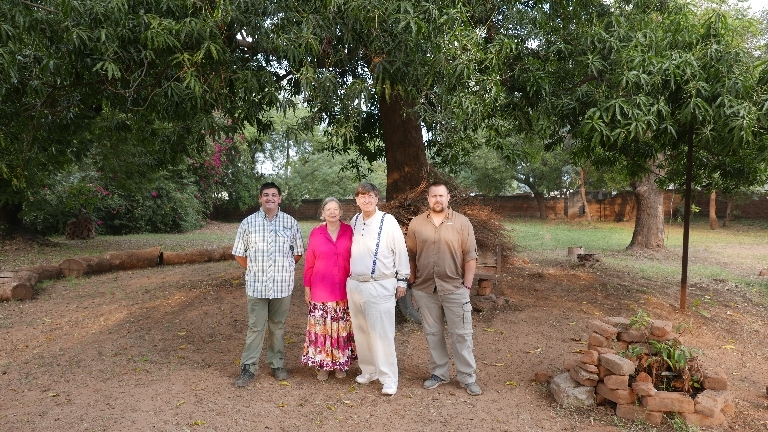 Joey, Vicki, David and Ian ready to start another day at Bible School. Students surprise me by singing Happy Birthday in English during the opening session. Students and teacher hard at work. Every day we enjoy the same delicious food. Chicken, rice, potatoes, veggies, and Mama C.’s tomato sauce! Baby goats join me as I observe David’s class. If I look distracted, it’s because I’m contemplating tomorrow’s graduation and the conference to follow. Tuesday & Wednesday Second Week of Bible School! “This is my Bible. I am who it says I am.” Students recite the daily Bible affirmation. 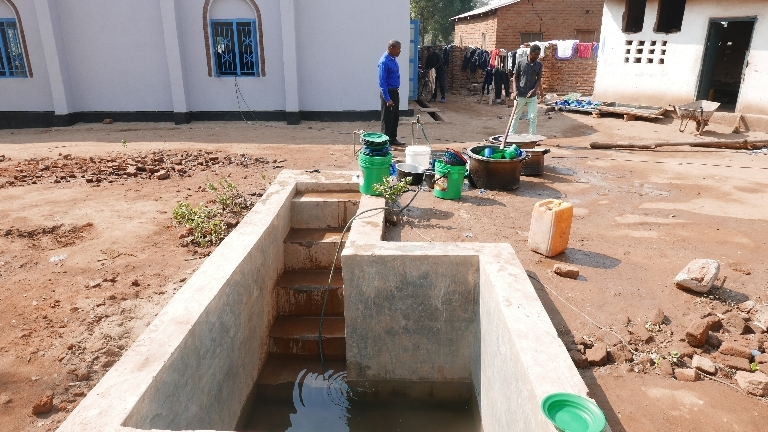 When planning to come to Nsanje we were to have breakfast and lunch at Pastor Chilemba’s home and then have MRI’s in the evening in our hotel rooms. After a few days we realized that we could actually get breakfast here at the hotel and revised our first plan. It is much more efficient for us to eat here at 7:00 and start classes at 9:00 at the church. Breakfast usually consists of boiled eggs, untoasted toast, rice or spaghetti, French fries, some kind of a sweet roll never before seen by any of us, maybe some rice porridge and instant coffee. Classes start at 9:00, but Pastor C. picks us up anywhere between 8:50 and 9:30. 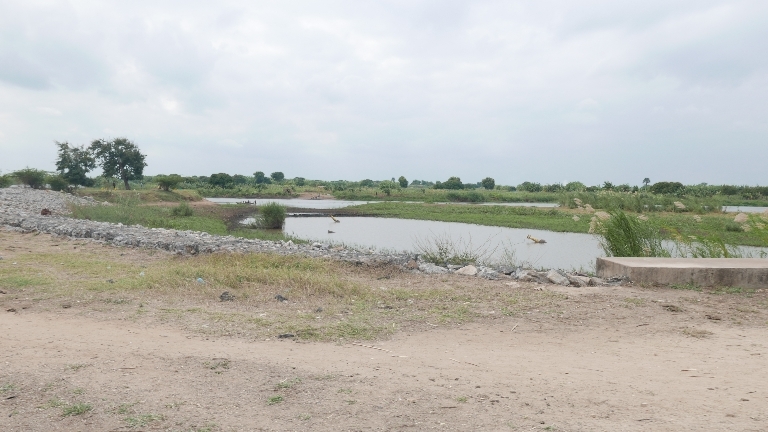 It’s Africa time so we juggle what we must in order to get caught up by the end of the day. 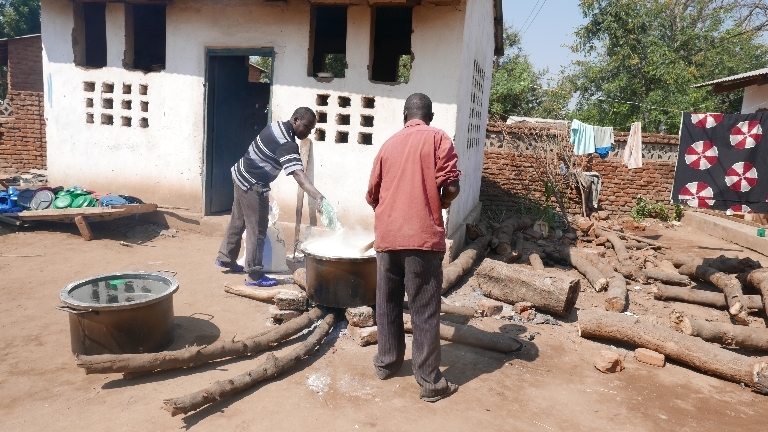 At noon Pastor Chilemba takes us to his home for lunch. 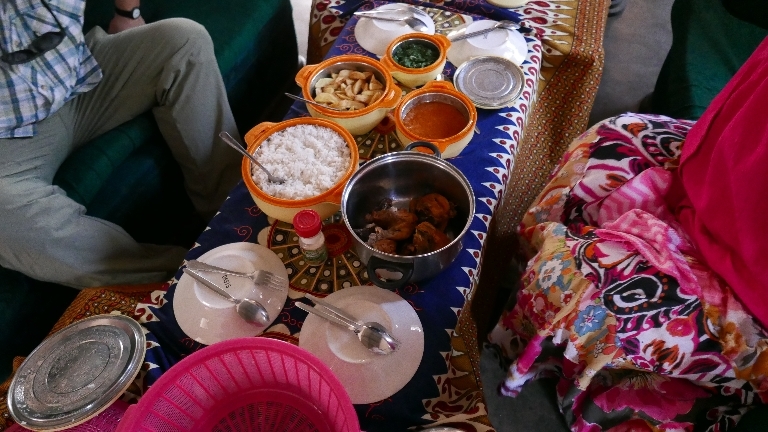 Here we receive the very special lunch which is the same every day — chicken, rice, French fries, a tomato sauce, a cooked vegetable and bananas. Sometimes we get a boiled egg. 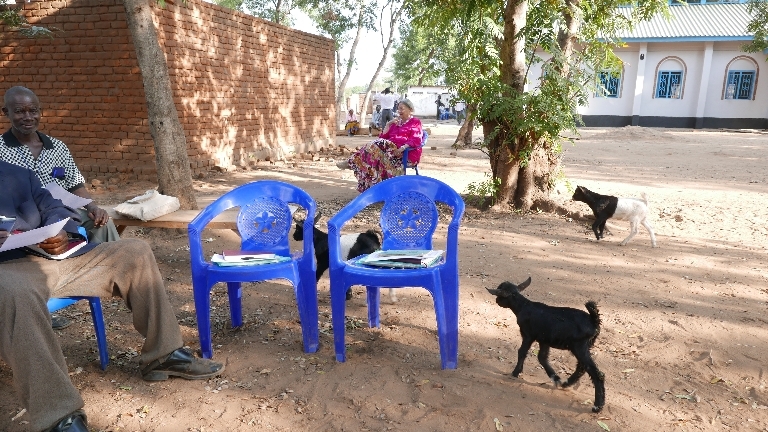 Outside the pastor and his family eat maize and goat or dried fish. Chicken is considered a very special treat. Last year I had to bring MRI’s for breakfast and for dinner so David and I brought way too many this year. I’m not sure who we will give them to. We’ve met a lot of nice people who work at the hotel and of course we have 141 pastors who might use them. We eat and then go to the hotel for break until 2:00 when classes begin. Again, Pastor C. picks us up anytime between 1:45 and 2:15 and usually start the catch up game! But, everything here is ‘no problem’ and it’s Africa time. 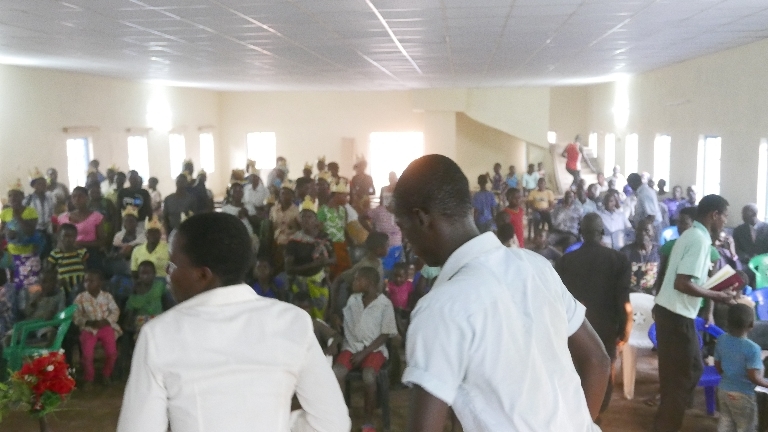 Yesterday Pastor Mussa, one of our students, cut the back of his hand seriously. Joey and Ian treated it and wrapped it. Today it looked infected so we brought Mussa to the hotel and treated and rewrapped the wound. Pray for healing for Mussa. Also Pastor C. took Mama C. to the hospital. He said it was for them to check her cast, but then he says she will be in the hospital overnight. It’s difficult because of the language barrier. His English sometimes is confusing. Pray for Mama Chilemba. Today we are all feeling well. I finally got some good sleep and so did David. I think all of us are beginning the countdown to heading home. We love the people here and we believe in what we are doing, but we miss home. It’s been more than a blessing to walk with God in this amazing place among His amazing people. Tomorrow is ‘hump’ day and after that everyday will fly by because there is so much on the agenda. Tomorrow’s student lunch. Cute goats roam everywhere, but we notice fewer of them as the days go by. 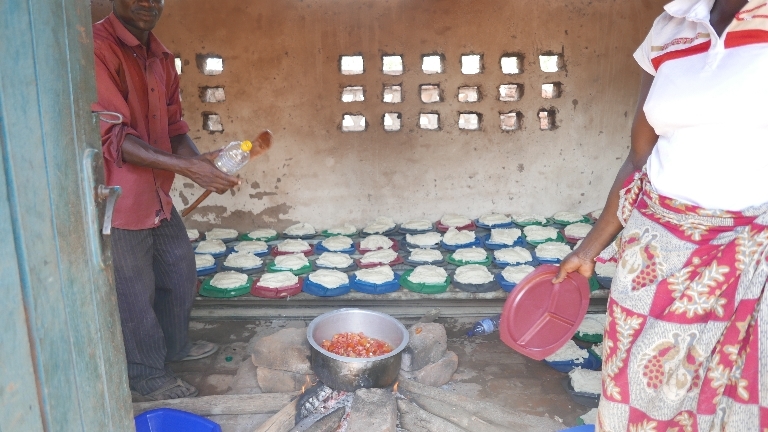 Cooks filling plates with maize and goat! Some days they have boiled eggs. 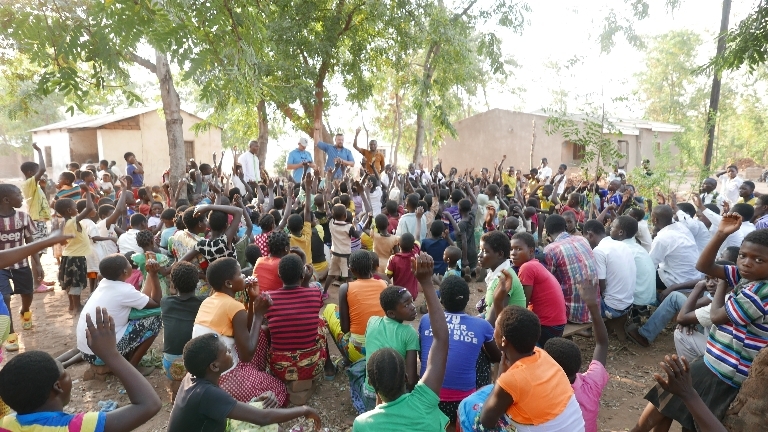 Vicki teaching with Fanny Phiri translating. Once again class is moved outside under the trees. All quiet in the kitchen. Just doing a few dishes. Getting the baptismal ready for Saturday. So little time to share about all the miracles that happen every day but I must share this one. When we were in Blantyre (two weeks ago) David bought a huge wrench. I asked him why and he said he thought it might make a good gift. When we got here we started a raffle every final session to lift spirits. Yesterday David put the wrench in the raffle bag. 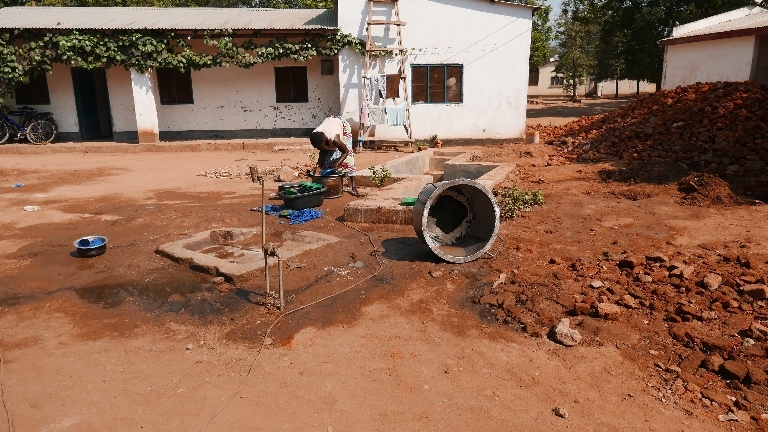 When we got to the church they were trying to fill the baptismal and the spigot was broken. 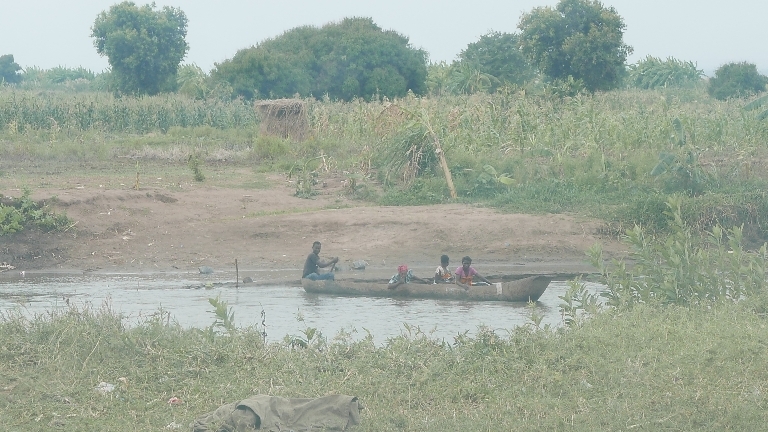 They were trying everything, but could not get the water to stop. Joey remembered the wrench in the raffle bag and they fixed the leak and began filling the baptismal. God had planned this blessing two weeks ago — when I thought David was nuts to buy a wrench for our teaching mission! Mama Chilemba had surgery on her broken arm and is now home and doing well. Mussa’s hand is looking better thank you for your prayers. David and I borrowed Joey’s shower last night and felt clean for the first time since we arrived. I slept better than any other night. Thank you for your prayers! 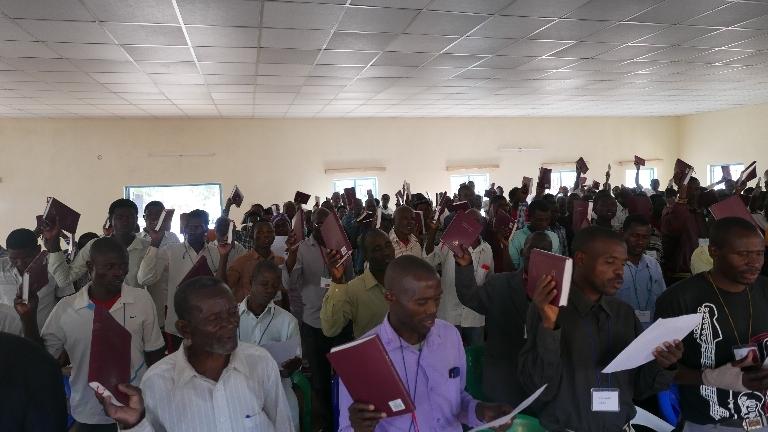 “On the contrary, we speak as men approved by God to be entrusted with the gospel. We are not trying to please men, but God, who tests our hearts” (I Thessalonians 2:4). African breakfast! 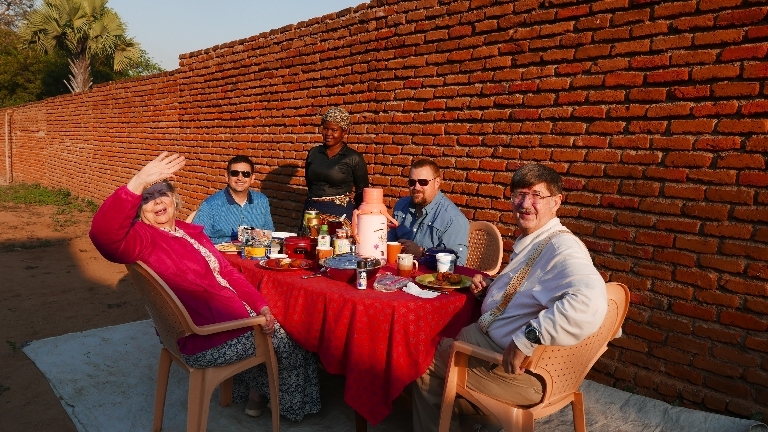 Pictured with us is Mary, the hotel owner’s daughter. On Monday classes resumed but I was good only for the first one. After that, I went back to the hotel because I’ve had a sinus infection and cold (just enough to make me miserable). I just need a decent nights’ sleep. Power failures make air conditioning disappear at times. David volunteered to take my last class and I spent the day in bed. No power, so no air conditioning, but at least I could rest. Everyone except Ian has had one thing or another. We’re all fine and feeling better now. The days have gotten hotter and we’re into the last week. As you can see, breakfast is delightful. Mornings have been cool. The students often get involved in the class work. They share and ask questions. The advanced group is very united and outgoing. One hundred seven students make the first year class a challenge because it’s difficult to get them to participate. Hopefully God will reveal a way to get them more at ease. The language barrier is so frustrating. I would love to know their stories. Joey and Ian have made some friends with locals. Tonight Ian and Joey are returning to the soccer field where they met players last week after class. When they first entered the soccer field, all the players ran up to meet them. 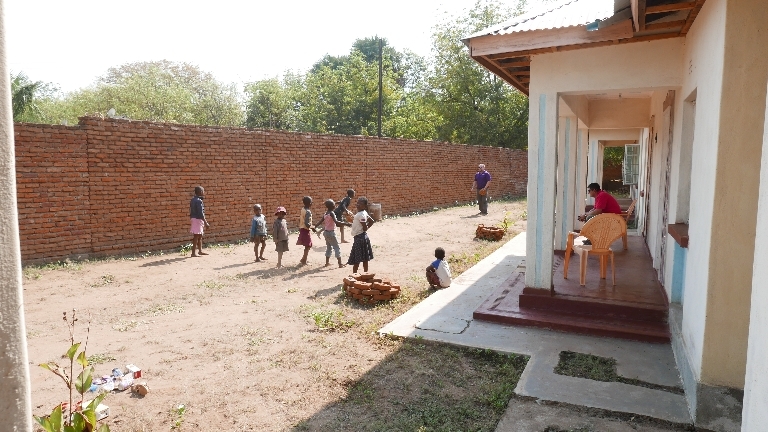 Joey and Ian challenged the players to make a goal from the opposite goal for two thousand kwacha (a little less than $3). Much laughter and fun accompanied the efforts until one of them made it. Sorry, no pictures. Joey is the only one with a shower that works. He has hot and cold water, too! He’s offered to share, but right now cold showers after a hot day are all right. Ian teaching about Elisha. John Chilemba translating. 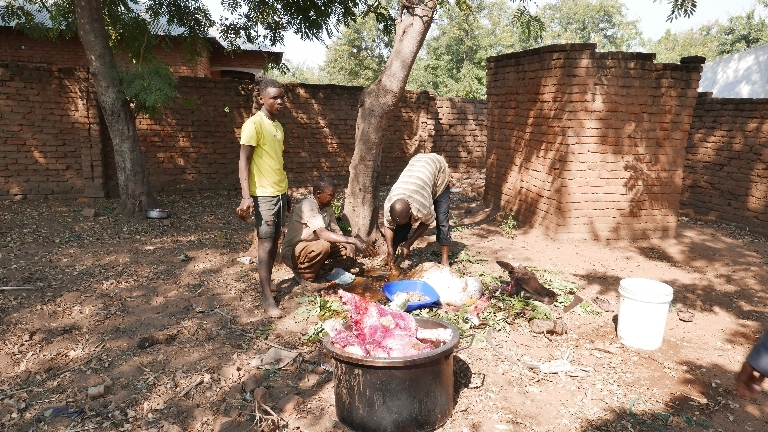 Men cooking maize for student lunches. 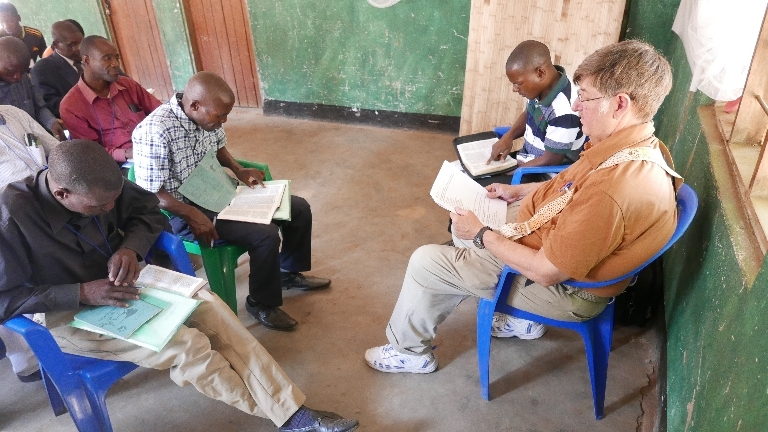 David teaching God Is Love class with Pastor Samuel translating. The Parable of the Sower class is moved outside because it’s too hot in the smaller classroom. Group picture of the conference attendees with the new big church in the background. David and I will be speaking at Impact Rock Church, 710 Austin Avenue, Erie, Colorado, at the 10:00 o’clock service on Sunday morning, October 7th. 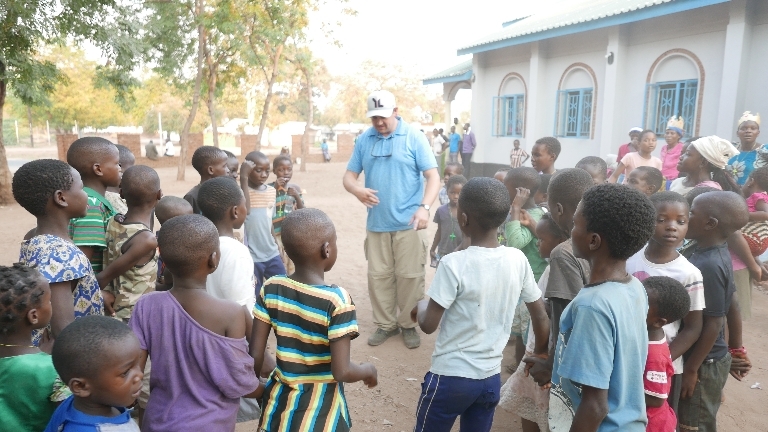 We will give a report on our mission to Malawi and share pictures and videos not seen before. We will also give you an update on the new church project. It’s beautiful and almost finished. 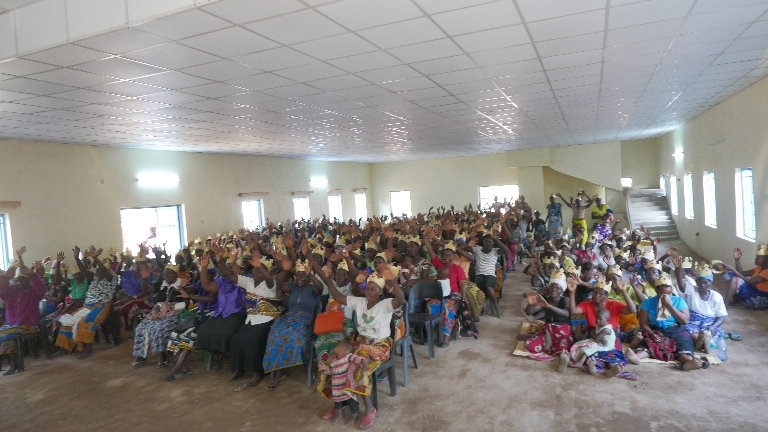 Believers in Malawi are already enjoying woship services inside what they call the ‘new big church’. We would love for you to join us!